does libre have legal left hand numbered margin feature? 1-25 numbers down left hand margin for court filings? 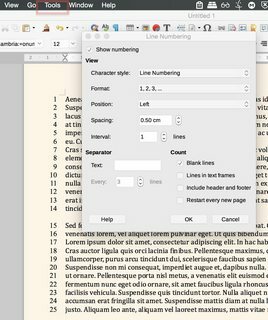 Have you looked under Tools > Line Numbering... ? I found some "pleader paper add on template" but I am having a little trouble using it. 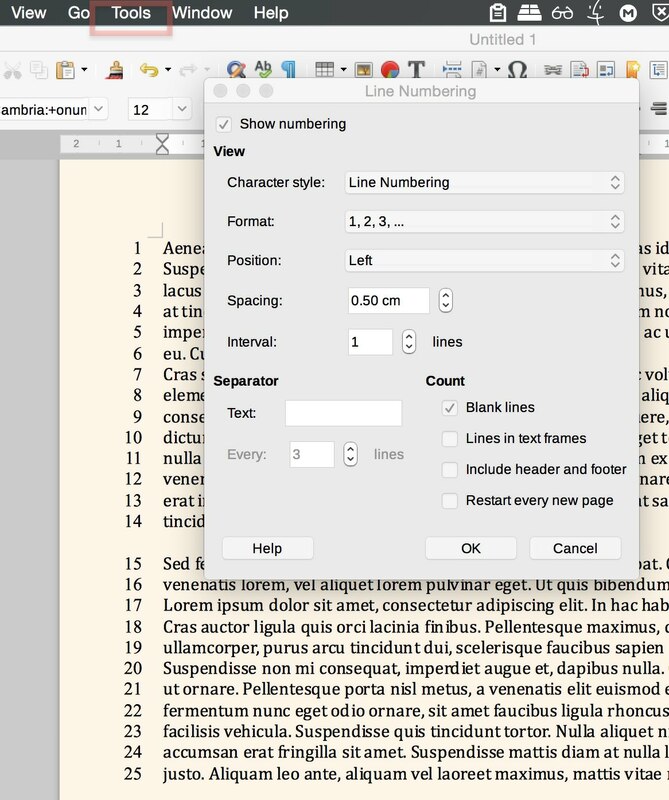 Legal numbering is a standard spase 25 or 28 lines for each page.